One of the Mornington Peninsula’s most iconic and loved attractions. 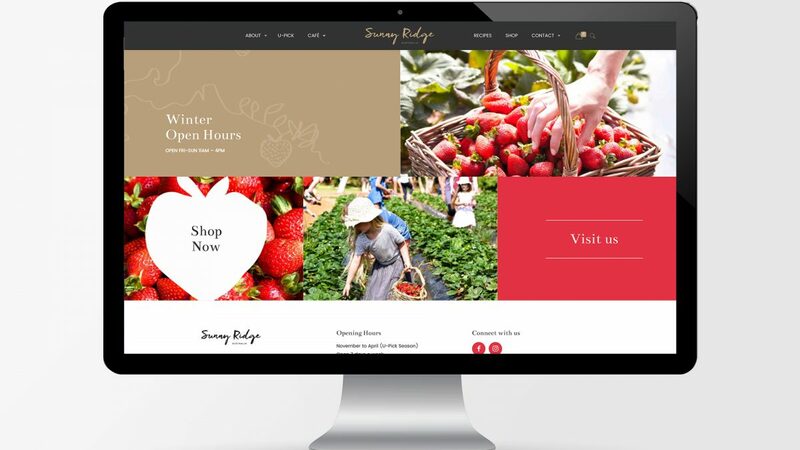 Sunny Ridge strawberry farm is one of Australia’s largest strawberry producers and one of Victoria’s biggest tourist attractions. They entice visitors from all around the world with their u-pick strawberry experience and their famous strawberry themed café. In 2017, we were engaged to complete a Social Media Strategy, which we ultimately implemented through ongoing content creation and social media management. In early 2018 we were asked to design and develop a new eCommerce website. Their previous website had eCommerce functionality but was dated and was not generating the online sales they were after. In addition to this, making changes or content updates was difficult and costly. Their new WordPress powered website is generating regular online sales, and updates and changes are simple to make. Oraco has evolved the Sunny Ridge logo into a brand through our creation and implementation of various marketing collateral including flyers, social media design, email signatures, and various documents. 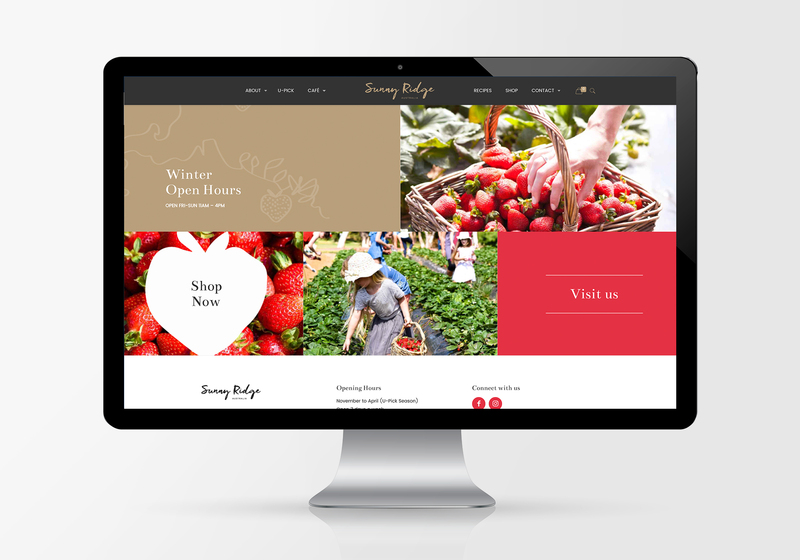 We continue to manage Sunny Ridge’s social media presence and the website. We also assist with ad hoc content creation and branding projects when required.